As a client you can schedule an appointment for yourself or anyone under your account that has been setup. There are 2 ways to schedule an appointment with a provider, the first is from your portal or the second is from the providers public calendar. 3. If you only have one provider skip to the next step. If you have multiple providers, for example a music teacher, tutor and personal trainer and they all use Fons, then just select your provider from the drop down. 6. Select the Time, the appointment cost will default to what the provider has on record for you. 7. 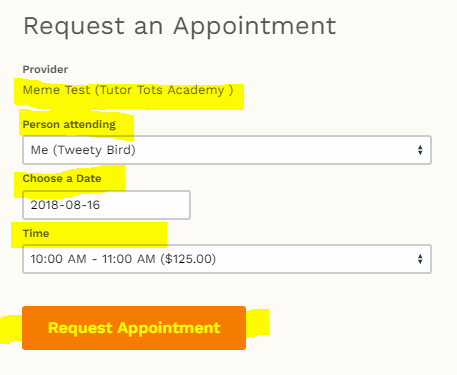 Click on the "Request Appointment" button. You will then be prompted for payment, unless your billing rate is set to $0 by your provider. 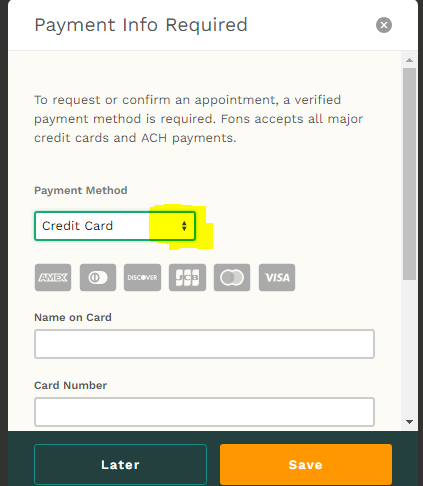 You may use a credit card or ACH payment, just use the drop down to select the payment method. Once your payment info is entered click save and your set. The provider will then receive your request. 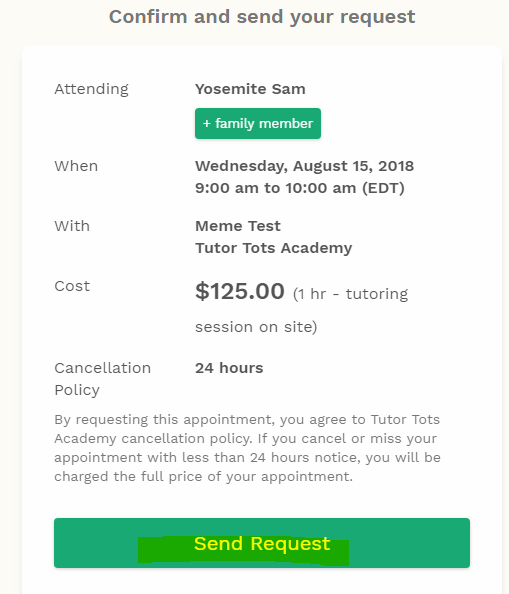 They will then have the option to confirm, deny or reschedule the appointment. You will receive notification on any of those options the provider selects. 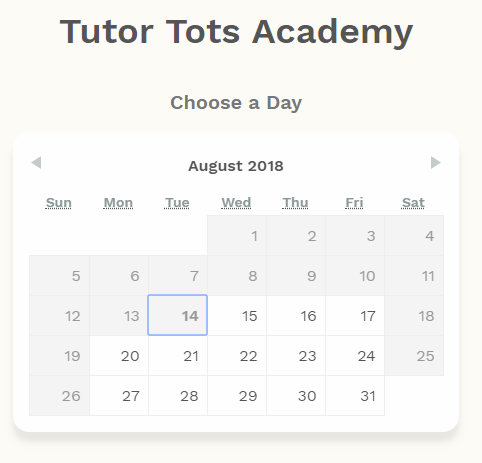 The other way to request an appointment is from the providers public calendar link, they will either have it embedded on their website or provide a link to you. The provider will then receive your request. They will then have the option to confirm, deny or reschedule the appointment. You will receive notification on any of those options the provider selects. What happens if a client forgets to confirm an appointment?